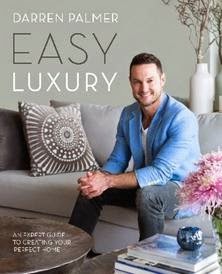 To finish off my series of gift ideas I thought I would share a category a little more affordable....Last minute gift ideas under $100. Some really great things here, almost all of them are on my wish list. So if you're out of ideas and need to run to the shops quickly to pick something up, here is a few ideas for you. 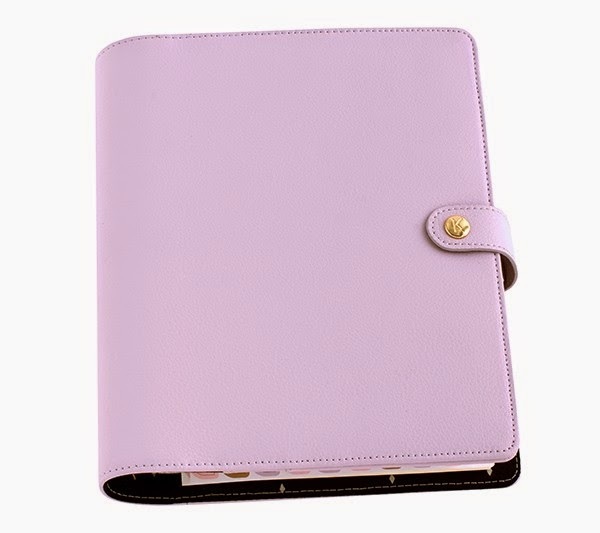 Kikki - K Lilac Leather Personal Planner - $79.95....Really hope I get one of these, I am going to DIY my planner for 2015 but if I had one of these it would make everything so much easier! 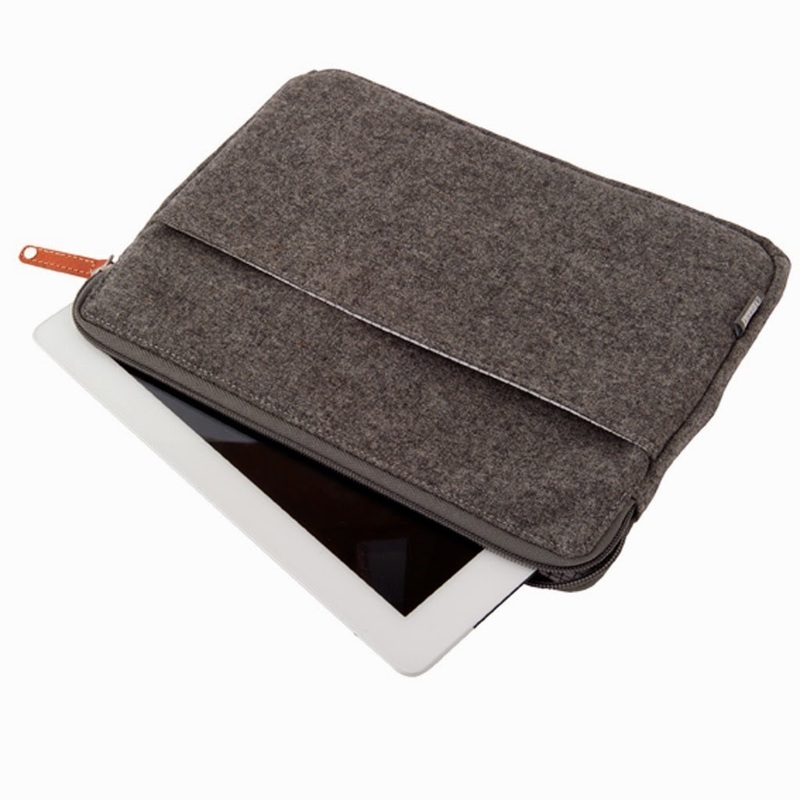 Kikki-K Woolblend Ipad Case - $20.95. 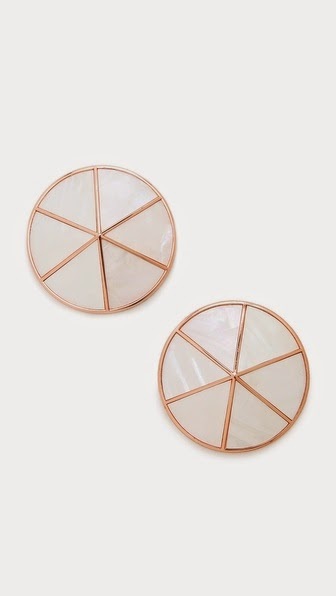 Have to protect you valuables, why not be stylish when you do it. Does someone you love enjoy scrapbooking?? Have they done a Project Life book before?? 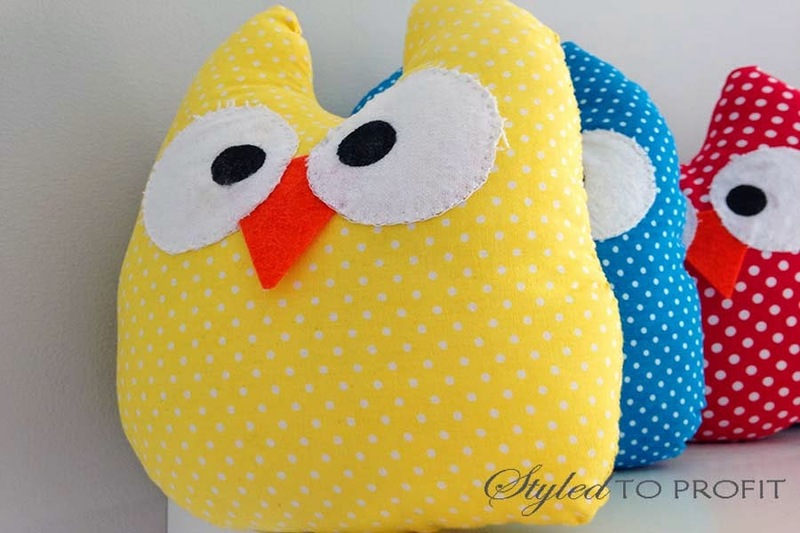 I adore them and they are such a great idea for a gift, I am yet to see anything more expensive than $50.00 on their website, make sure you check it out. For the original USA site click here. They do not unfortunately ship to Australia though so here is another site that is located in Australia for all my neighbours. I absolutely love lighting and I think the new Josh and Jenna Designer Collection available through Beacon Lighting is just perfect! 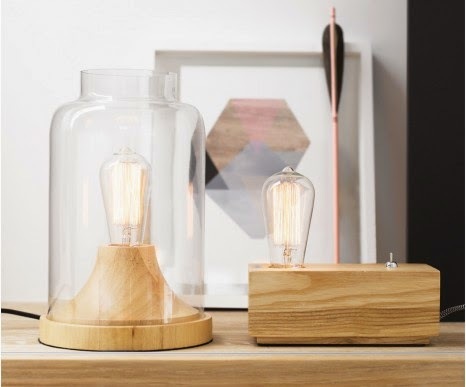 Check out these beautiful table lamps price at $89.95. 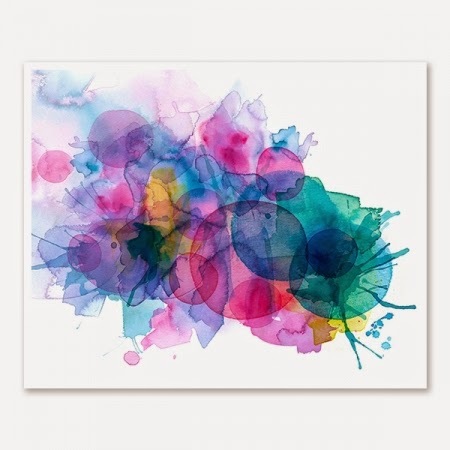 Beautiful Watercolour Motion Print - $25.00. 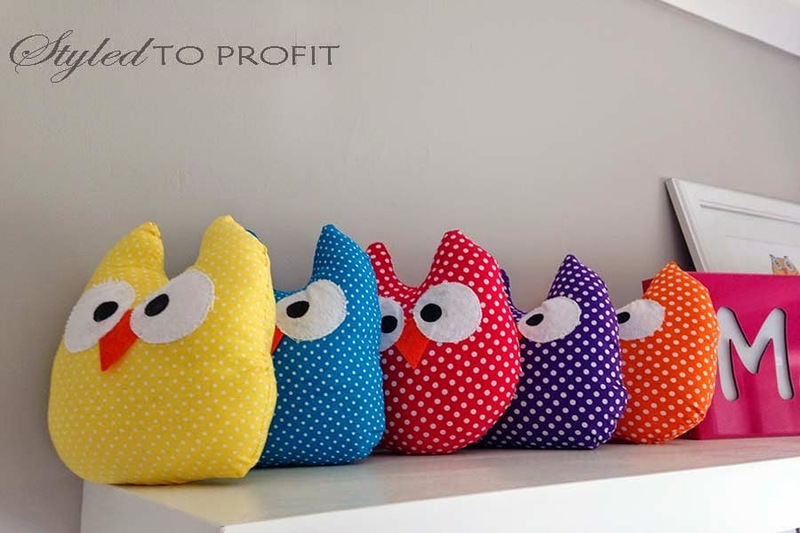 This is just so much fun, and a fantastic way to add some colour to your room. I hope you enjoyed a few of the ideas above and fingers crossed they help with those last minute gifts. I'm sure the lucky people who open up these beauties will love them, I know I would! I have been having a bit of fun lately with my Christmas decorations. With my daughter a bit more aware this year I wanted to do a little bit extra and make the house a little more bright and sparkly for her. I have seen so many ideas on Pinterest lately, the blogging world is going crazy with their trees and decorations so I thought I would join in. We put out tree up a few weeks ago now but I have to say it's not pretty. We have had to keep some decorations away from the bottom of the tree because we have a little creature that likes to try and pull them off. I feel like all I have been saying to her lately is No and let me tell you, it's not fun for either of us. So because of this I wont be sharing my barely decorated boring tree with you all. But I did DIY a little tree out of my left over baubles. 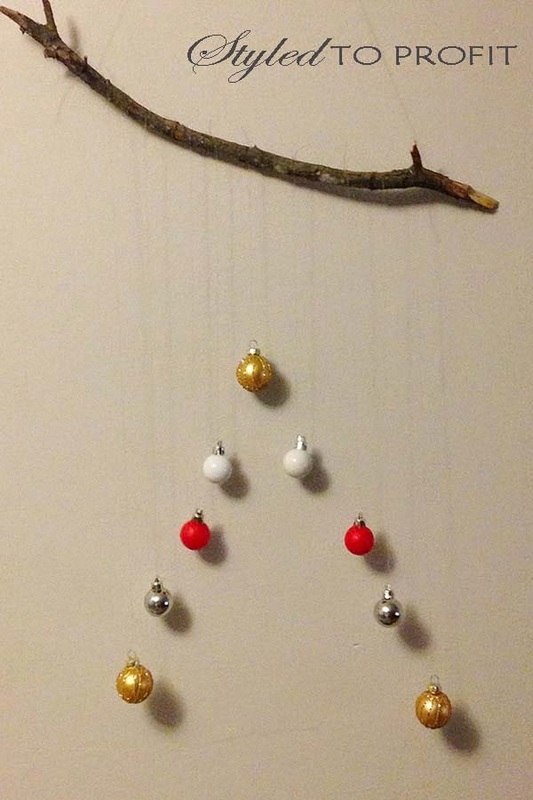 Super simple Christmas tree for those of you that don't want to put up a tree or are looking for something the kids can't get a hold of, why not give this a try. I sourced my fabulously rustic stick from my backyard.......so cheap that it was free! Stole some fishing line from my husbands rarely used tackle box, don't think he's going to miss it. And then used some of my little left over baubles. I wanted to add a little bit of colour to this tree but all my decorations were only gold and silver. I dug out my red paint and painted two of the baubles so I could add a touch of colour. Not the best painting job but if you don't look too closely you won't even notice. 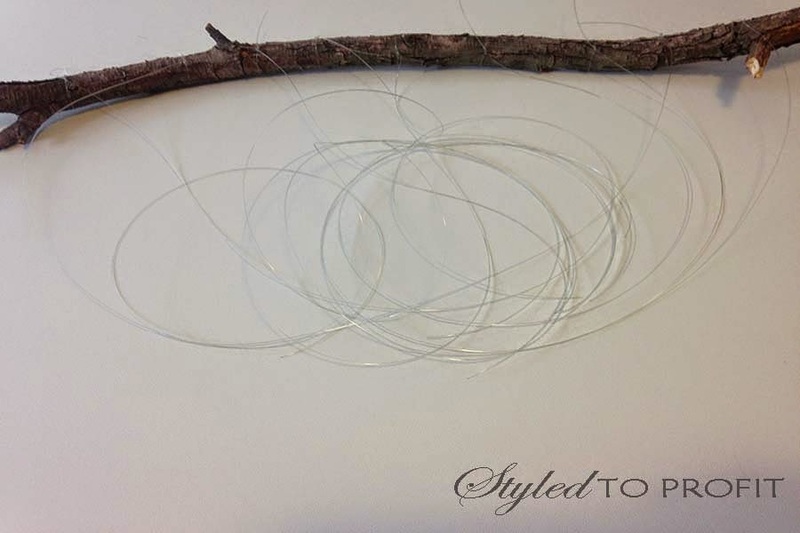 Once I had all of my bits and pieces together I cut 9 lengths of the fishing line all the same length. I then tied one end of each of the pieces around the stick around 1.5cms apart. 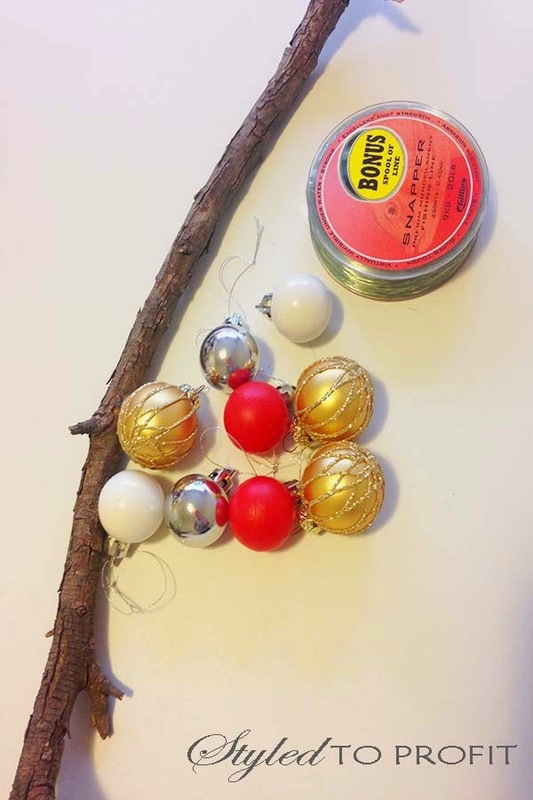 Make sure you double knot your fishing line so it doesn't fall off once you hang your baubles. Once that was done, I started hanging my baubles. 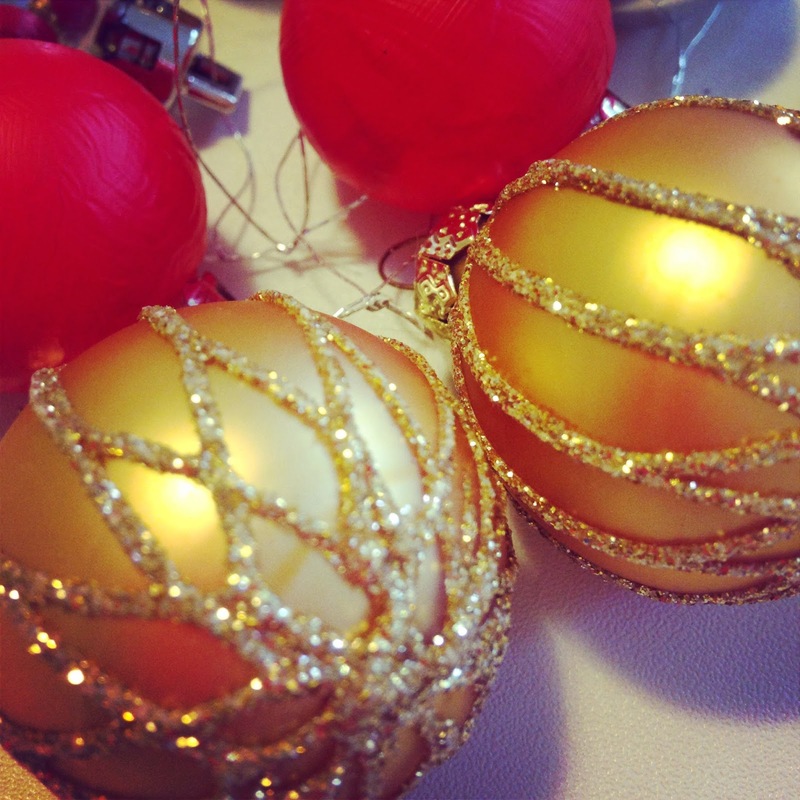 I worked from the outside in, the outside baubles hang the longest so best to start there. I hung them both at the very bottom of the fishing line. I then worked my way in hanging the baubles slightly higher each time. Once I was happy with the lengths I cut the extra line. I think tied some extra line to the top to help hang it up and that's it, a hanging bauble Christmas tree. If you want to add a little bit extra colour and Christmas spirit add some tinsel to the stick. 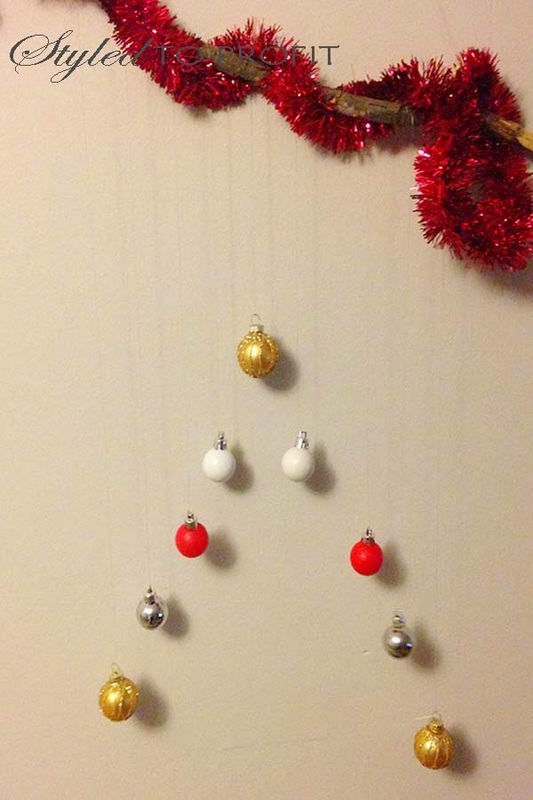 And there you go, super easy super cheap Christmas tree decoration. I'm working on a few other decorations for my place but nothing too exciting or difficult, I'll be sure to share them with you soon. 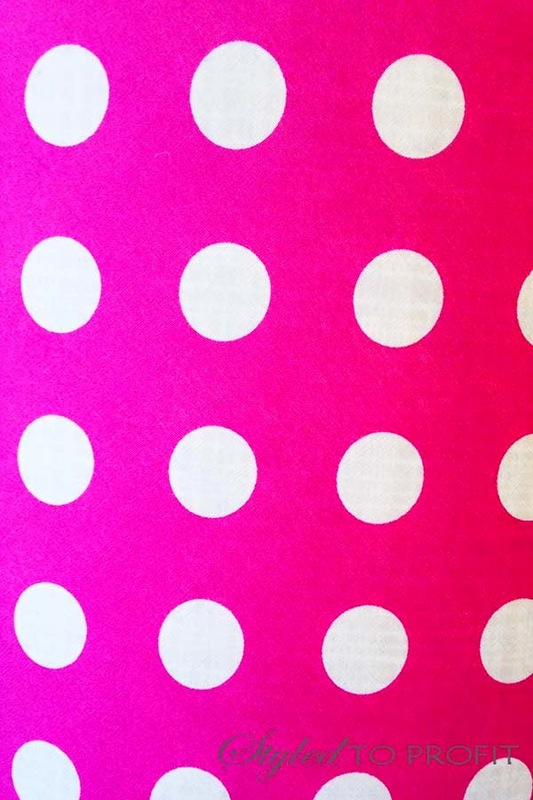 I shared with you all a few weeks ago that I got a sewing machine for my birthday, since then I have been having so much fun working everything out and having a go at some sewing projects. After I spent a good hour or two threading the bobbin and then threading the needle I was ready to get started. It takes me around 2 minutes now but hey the first time you do it on your own it's a little bit more difficult. I fist pumped like a champion when I finally worked it out though! I have had heaps of things on my sewing to do list and I still have a heap more. So I started with something simple, a cushion cover. I have done parts of this before but not all of it by myself. Just a simple envelope cushion cover, worked a treat and looking forward to making many more of these. 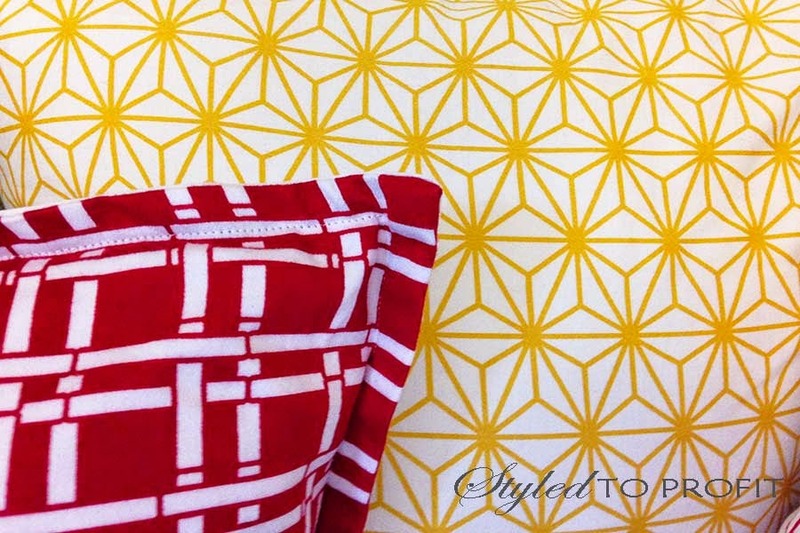 I am actually working on a Styled to Profit Cushion Line at the moment so hopefully I can master the art of sewing cushion covers in minutes. 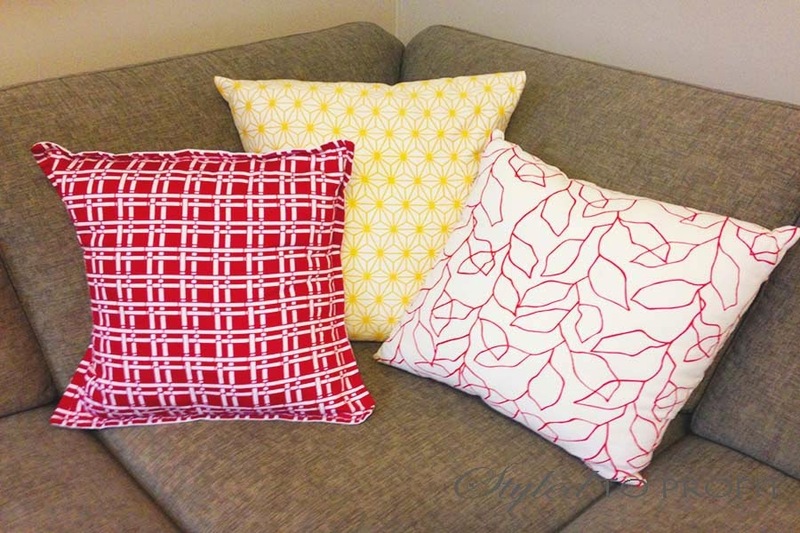 I can't wait to share some of my new cushions with you all but need to wait until I have it all a little more organised and completed. 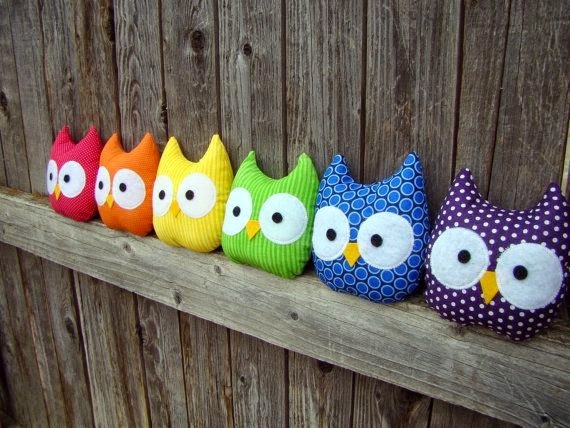 I saw a post on Pinterest a little while ago of some fun and colourful owls that I absolutely loved. Here is the pin for you together with the link to the etsy shop they are sold at. 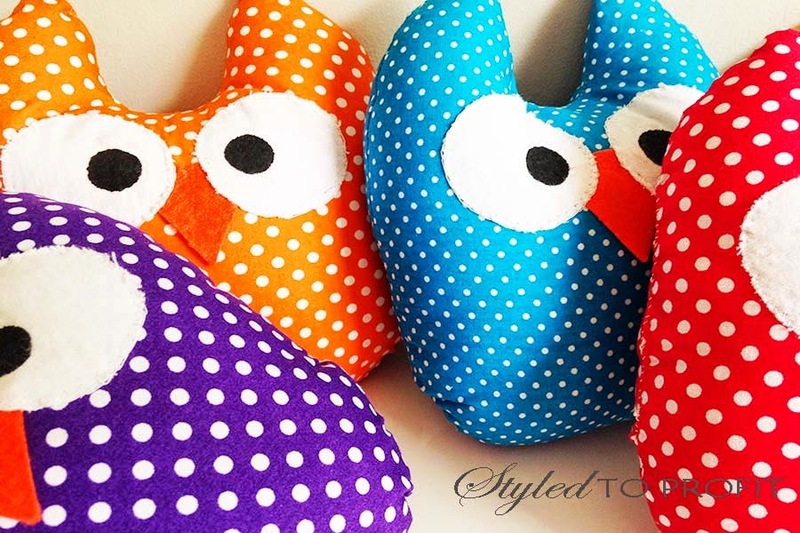 I loved them, thought they were so cute, and seeing as though my theme for my daughter's room is owls I thought I might try and give there a go myself. Took me quite a while to work them out and put them together but let me say, I'm so happy with the result. Now I know mine are no where near as good as the ones above but I'm just really excited that I did them myself, with little to no help from anyone. There are so many flaws in them but I don't mind......I did them myself!! 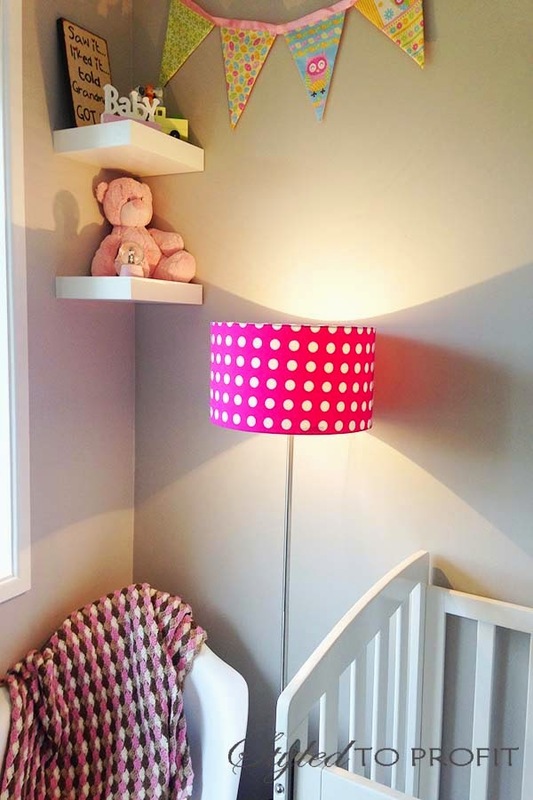 If you have been reading my blog for a little while you would have seen my nursery sneak peak. I mentioned in that post that I have been on the lookout for a lamp shade for her room. I haven't been able to find the right one, I'm still looking. In the meantime I thought I would spice up her existing light with something a little but more fun. So I bought a basic boring lamp shade, some funky pink material, put it together on the sewing machine and then glued it onto the lamp shade. 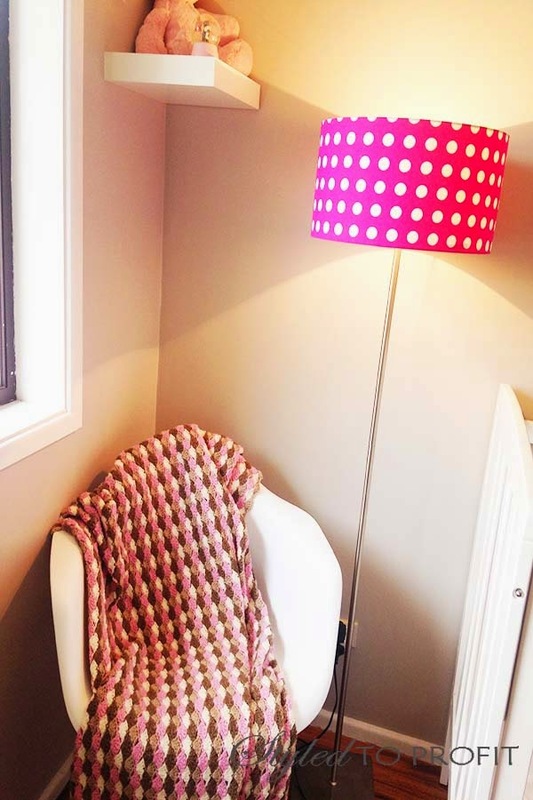 Ta da.......DIY covered light shade for her room! Happy with how this turned out as well.......this is so much fun!! I have so many more projects that I want to do so will make sure I share them with you soon. My sewing machine is one of the best presents ever, I'm having so much fun playing and creating. I also have a few ideas for some fun Christmas DIY's and decorating projects so looking forward to sharing those with you all soon. I will make sure I have them all up in before Christmas though so don't worry!